Whether it’s for a hallway, mudroom or in the bedroom, a bench seat is a versatile piece of furniture – a must for every home. Here’s our roundup of a variety of benches to suit any budget. If you’re looking to invest in a quality piece of furniture, we suggest spending a little more money. These options are all priced at over $1,000. We love the Scandinavian vibes of these bench seats – the timber combined with the simple upholstered cushion top make all three of these winners. We’ve deliberately hand-selected benches that are neutral in colour in this luxury category – pieces that will stand the test of time. There’s plenty of bench seats to choose from in the mid-range price category ($300-$1,000). The Raffles Rattan bench seat (pictured above) is a great option for achieving that relaxed boho/coastal style. It’s from Byron Bay Hanging Chairs – I just love the texture of the woven rattan top. If you’ve got the space, why not add a bench seat to the foot of your bed? 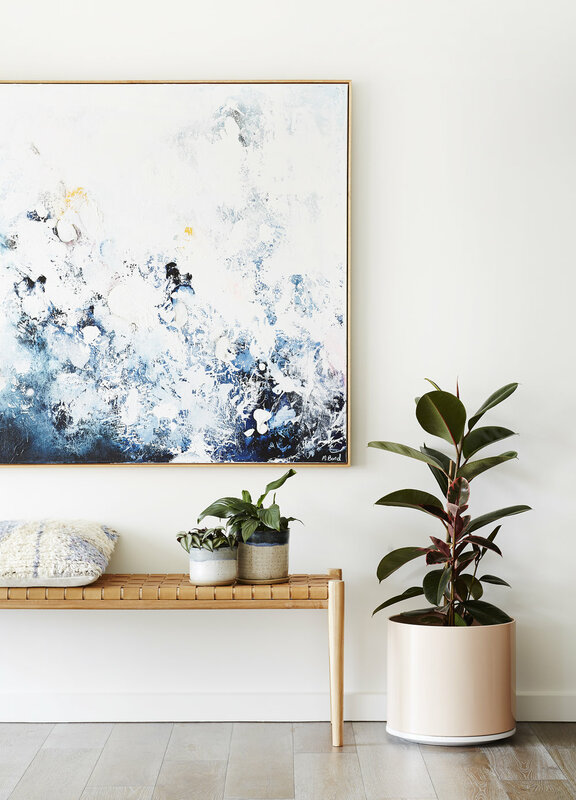 These two examples below from Life Interiors are stylish options. I love the storage in the bottom option – particularly handy if you’ve ever wondered where to store excess cushions on the bed at night! 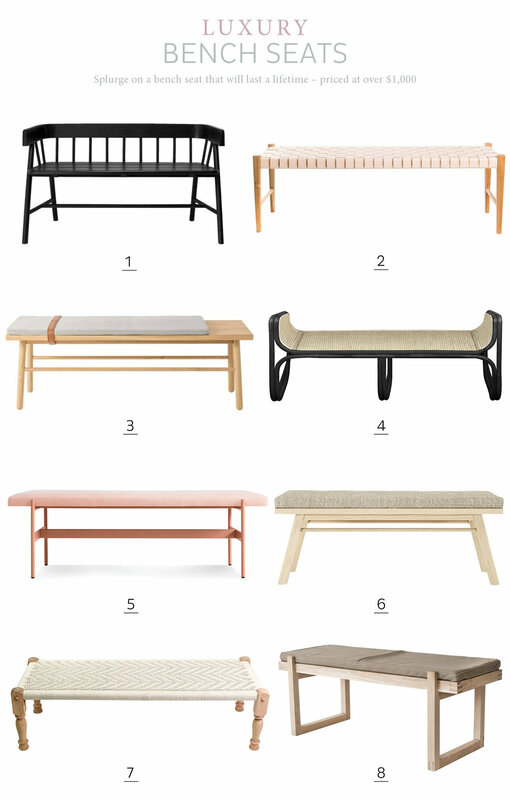 If you’re on a budget and want to spend less than $200 on a bench seat, you’re in luck there are plenty of affordable options from a variety of mainstream stores (in fact all of the six in our roundup above are under $100)! We just recommend to check these out in store in person first or to measure up before ordering online. Some of the benches in our roundup above are petite in size so you’ll need to see if they meet your requirements. You can see how well a bench seat can work in a front entry (pictured above and below). Team your bench seat with some hooks on the wall for accessories and you have a practical spot to pop on your shoes and grab your bag before heading outside.